It seems like I have a lot of friends that could use a hug right about now... here's a sympathy card for one of them. It's also one of my card class designs for March. I used the Dreaming Big paper and a stamp set that was available last fall. 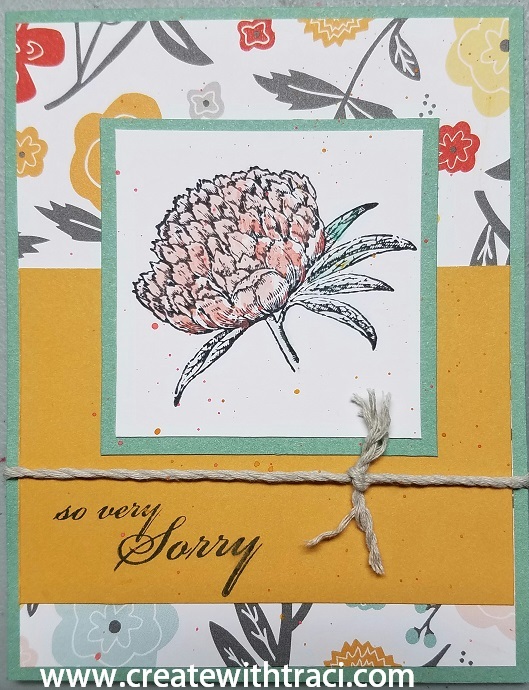 I used my watercolor paints and paintbrushes to color the flower and to add splatters to the card.